I always try to whip up a cool adult treat for myself and my husband on Fridays. I personally don’t need anything fancy; a crisp cool glass of rosé will do the trick. To take rosé to the next level, I make it into a rosé slushie. This delicious beverage is much easier to make, and much more delicious, than you might expect. It is a simple mixture of wine, fruit, and a touch of sugar. Then it is blitzed together and chilled in an ice cream maker until it reaches perfect slushie consistency. Serve these on the patio to your girlfriends or enjoy them with your partner after a long week. 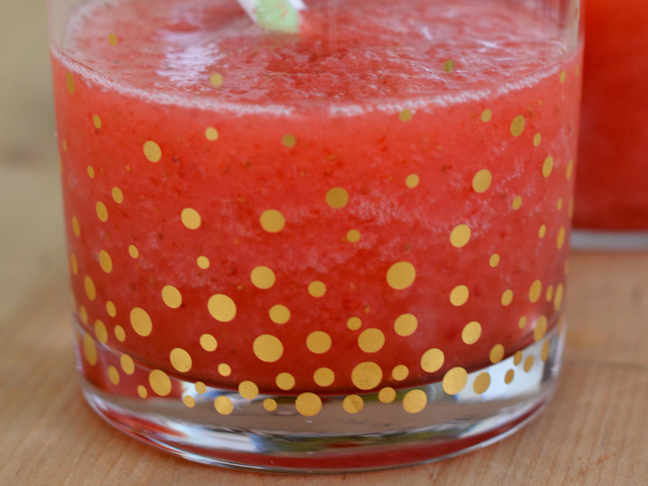 You’ll quickly fall in love with your new favorite fruity cocktail. 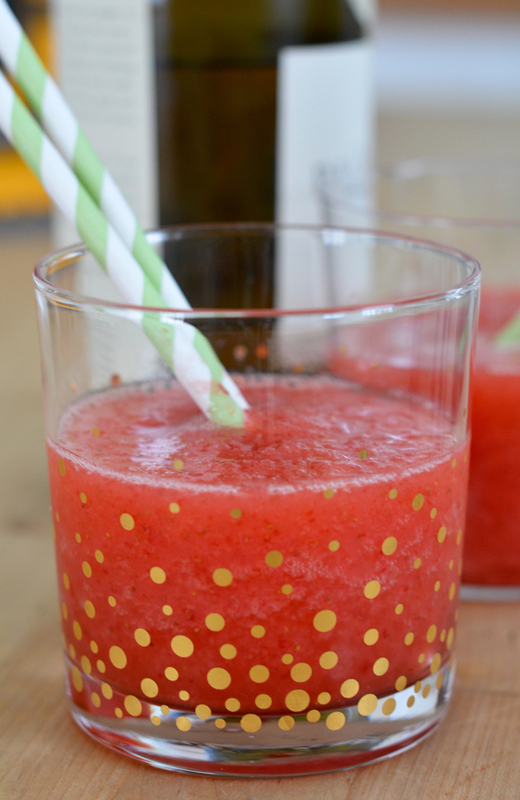 Wine, fruit, and a touch of sugar blitzed together make the perfect weekend treat. Step 1: Puree all of the ingredients in a blender until smooth. Step 2: Place in an ice cream maker and chill for about 15 minutes, or until the drink becomes slushie consistency. Step 3: Scoop out and serve.